← Big earthquake right now! It was a magnitude 7.0! 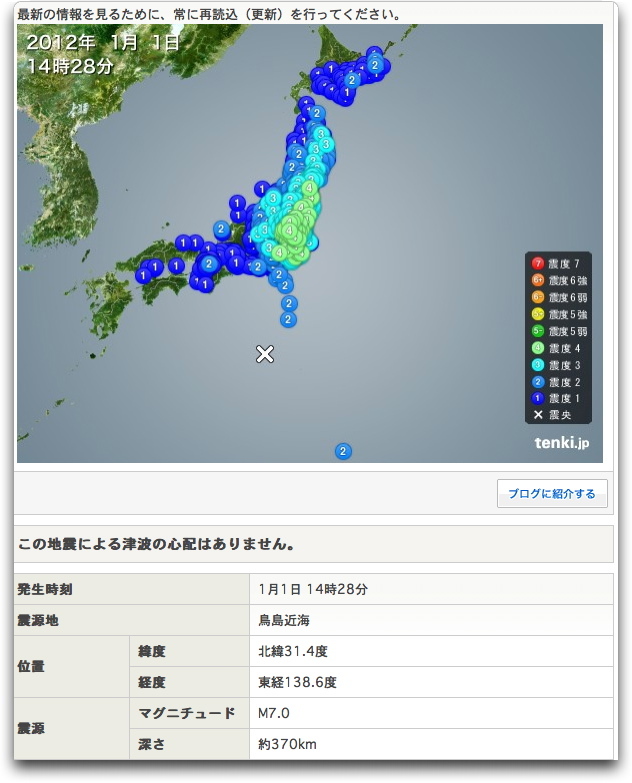 It was a magnitude 7.0, but very deep (370 km). So on the Japanese “Shindo” scale of 0-7 it was only a 4 in Tokyo (see screenshot). I don’t think there was any damage. A couple of things did fall from shelves though.